I've only recently started playing this game. After 50 levels alone, I decided to leave an official server that the alpha tribe was pillar blocking ever square inch of the island. It was time to find a server that was recently wiped and that had some form of Admin control. 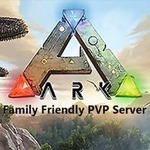 Spent last night on ARKFAM.com and really enjoyed it. I'll be leveling up this week and choosing a tribe to join. Thanks for your time and efforts, Admin. Your family oriented forum, voice chat, events, and supervision look to be the type of experience I've been looking for. 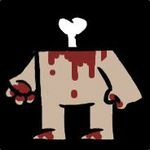 Welcome to the ArkFam Royal_T. Our server community is made up of some of the best people anywhere. I am sure you will enjoy our community. If you haven't already please take the time to read over the server rules and settings.